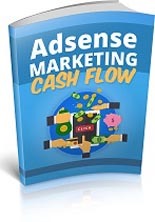 How You Can Use Adsense To Create Cashflow In Your Business!" “Google AdSense is a fast and easy way for website publishers of all sizes to display relevant Google ads on their website’s content pages and earn money. Because the ads are related to what your visitors are looking for on your site – or matched to the characteristics and interests of the visitors your content attracts – you’ll finally have a way to both monetize and enhance your content pages. So, is what they say really true? Does it really work and more importantly, does it really work that well? The answer is, yes! Google will pay you every time your site visitors click on an ad within your site. That means that you get paid whether they end up purchasing something from an advertiser or not. All they have to do is click in order for you to get paid!